Welcome back to 5 Questions, where we pick the brains of people from all areas of the running scene. Today, we were lucky enough to catch up with Emily Lipari, who just won her first NCAA individual championship this past weekend, in the mile, at NCAA Indoors. 1. Daily Relay: Congrats on your first individual NCAA championship. The race seemed to play to your strengths. How bad did you want this one, and what was going through your mind during the race? Emily Lipari: Thank you very much! You never know how these races are going to pan out, but the most important thing I have learned is that good positioning and staying relaxed in a pack will allow you to be successful. I was on the team with Sheila Reid when I was a freshmen, and I watched her win all the time. She made it look very easy, and I wanted to be there very badly. As my years at Villanova progressed, I realized how hard it was to win a national championship. It was something I have always dreamed of and I made a decision that I will do everything possible to achieve it. During the race, I had lost contact for a bit, but I knew there was a chance that I could be top three. I started kicking with that thought in mind and realized that winning the race was not out of the question. I gave it everything I had, and If I came up short, at least I would still be All American. 2. 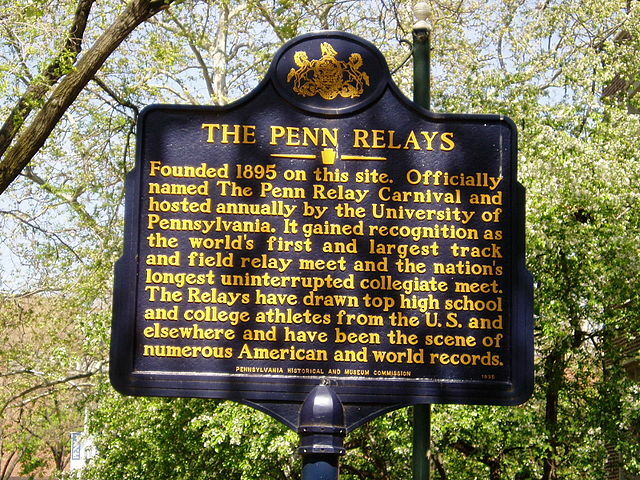 Daily Relay: You have had an illustrious career at Villanova, with plenty of team glory, from the trail to the track. What are a few of your favorite moments in your career as a Wildcat? Emily Lipari: I have loved my years at Villanova and I can’t believe how quickly the four years have come and gone. It is hard to pick a favorite moment, but I think I would have to say when we won cross country nationals as a team, when I was a freshmen. There is something about being part of a team and knowing that you have achieved something with other people. I will never forget that day because I came onto the team very clueless, not really understanding what it meant. At the end of the season, I had realized what it really meant to win something and to do something great. You get addicted to it and want more. In high school, I was never able to be part of a team like that, so it was an emotional moment to know that I am able to be a part of something like that. 3. Daily Relay: Villanova is located just a few miles outside of Philly. What are some of your favorite places to run in the area? Emily Lipari: My favorite place to run is Valley Forge. It is a huge park, so you never get tired of doing loops! It is very beautiful in the fall, when all the leaves start to change color! 4. Daily Relay: What led you to Nova coming out of high school? What were some of your favorite things about the school and the Wildcat experience? 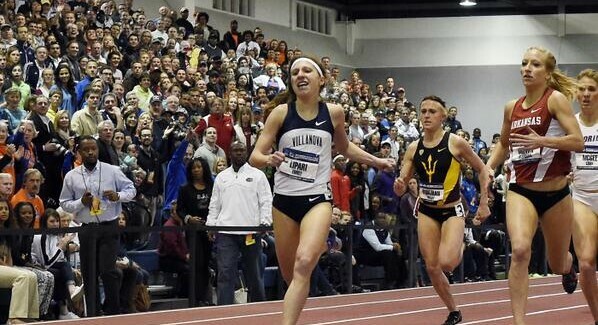 Emily Lipari: There was just something about Villanova that I cant really explain in words. It was the first college campus I had ever been on. When I met (Coach) Gina (Procaccio) for the first time, in her office, you get drawn to the wall of pictures she has. The pictures are of the NCAA champions and Olympians that she has coached in her career at Villanova. Walking into the office, you want to be a part of that, and it demonstrates how she is a successful coach. In high school, I had a coach with a very similar personality to Gina, so i knew it would be an easy transition to come here. I visited a few other schools that were awesome, but as I took each visit, I could not get the thought of Villanova out of my head, and realized this is where I wanted to be. I love how well the coaches take care of their athletes at Villanova. We are very lucky, because sometimes when people go to schools, it turns out to not be what they think, but I am fortunate that the school became everything I thought it was going to be and more. There are times that I had struggled mentally at Villanova, but the coaches never gave up on me, so I wanted to return the favor and try to make them as proud as I possibly can. 5. Daily Relay: With your last outdoor season coming up, what are some some goals you have made for yourself? And is the plan to compete professionally after the year ends? Emily Lipari: I have no idea what will happen to me when I graduate. If I am presented a good opportunity, it is going to be hard to turn it down. I do have a few goals for this outdoor season, but the main one is to just have fun with it. Throughout my career here, I have put too much pressure on my self at times, so I want to just have fun with it, which has been successful throughout my senior year so far. Racing is the fun part, so putting pressure on yourself takes all the fun out of it. For now, the goal is to just get to the NCAA outdoor meet and run well.